Thorwaldssen was a 19th century Scandinavian sculptor who was is said to be the first to license his photographic images for reproduction and distribution. 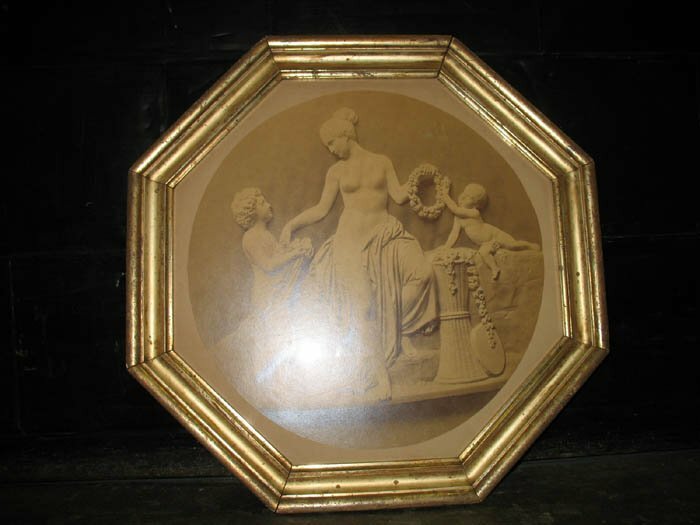 He created these plaster sculptures in the 1870s, which are now in the British Museum, and then made the albumin photographs in several different sizes to sell. This is a set of 4. One has a rust color shadowy line at the lower portion. One has a cracked glass that I can have replaced for the purchaser.